Planning a rally or march? Make sure your message shows up in the visual media! 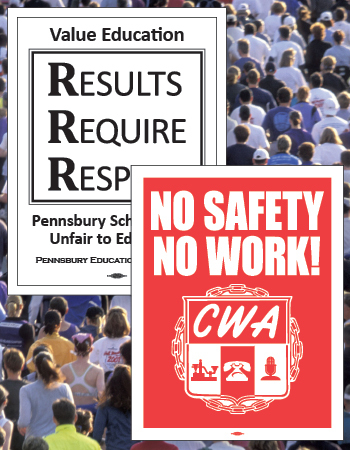 Convey your message and display solidarity with professionally produced signs from Trenton Printing. Imagine the impact your cause will have if every participant is carrying a sign! Looking for something even more dramatic? Check out our banners page. Contact us to discuss your rally or march needs today.